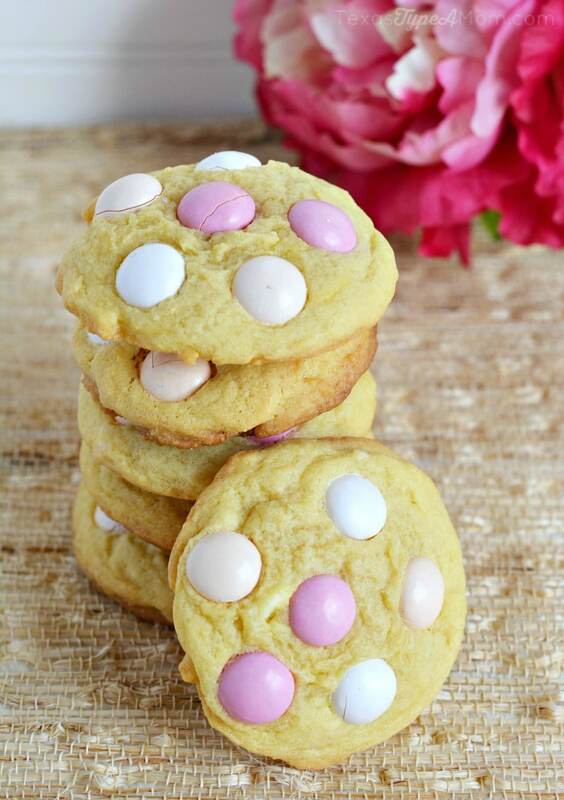 This strawberry shortcake pudding cookies recipe mixed together all of your favorite things in one – soft and chewy sugar cookies with the flavors of strawberry shortcake in the form of M&M’s. Cookies. They’re my husband’s love language. If given the opportunity he’d gladly accept only having cookies as dessert for the rest of his life. Me? I need some variety. Sometimes the usual peanut butter cookies, chocolate chip cookies, or snickerdoodle cookies can get, well…boring. 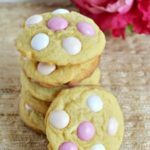 That’s why it’s fun to mix things up and sometimes those experiments come together in a perfectly delicious way like in this strawberry shortcake pudding cookies recipe. 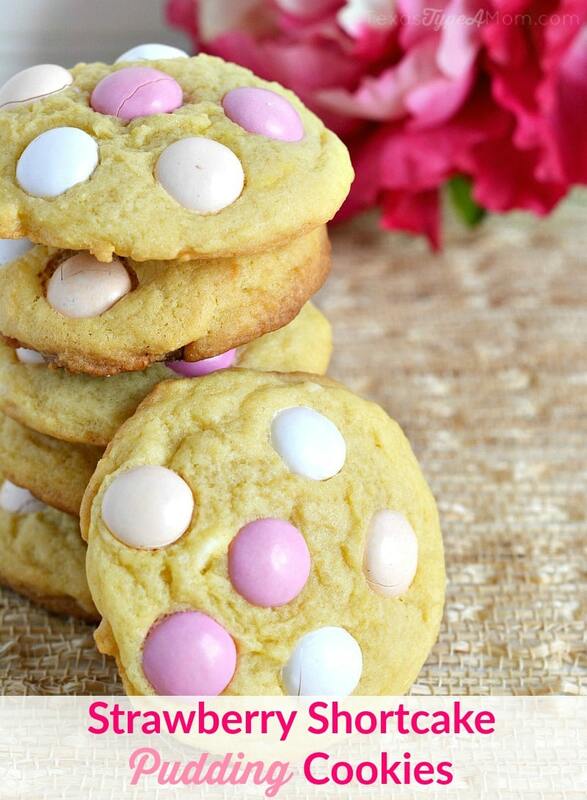 Whether you’re looking for a recipe to make for a Valentine’s Day party or just an after school snack, these Strawberry Shortcake Pudding Cookies are sure to please! Using an electric mixer, beat butter, powdered sugar and vanilla until light and fluffy. Add egg and whisk until fully combined. Using your electric hand mixer (or paddle attachment on low if you have a stand mixer), slowly add the flour, pudding, and baking soda. Mix until combined. Fold white chocolate chips into the flour mix and stir until combined. Refrigerate dough. Meanwhile, preheat oven to 375 degrees F.
Line a baking sheet with parchment paper or lightly mist with cooking spray. Use a medium sized cookie scoop to scoop out the dough into balls and space 2 inches apart on the baking sheet. Press the M&Ms candies randomly on top of the cookie dough balls. Bake 10-12 minutes, just until golden brown on the edges. Cookies may still look squishy but be careful to judge based on color to avoid crunchy cookies. Cool for 2 minutes on the baking sheet and then transfer to a wire rack to cool completely. This is my first time sharing a pudding cookies recipe? If you regularly make these, any tips for future recipes, mix ins, etc?